Coat of Arms crystal wine glasses, engraved lead free crystal glassware with a frosted finish. A beautiful personalised gift for family gatherings at the matriarch’s home, or even for a family celebration such as a wedding. 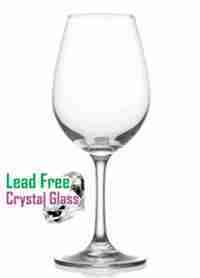 Our high quality lead free crystal glasses are the genuine article.